Well, this is it. 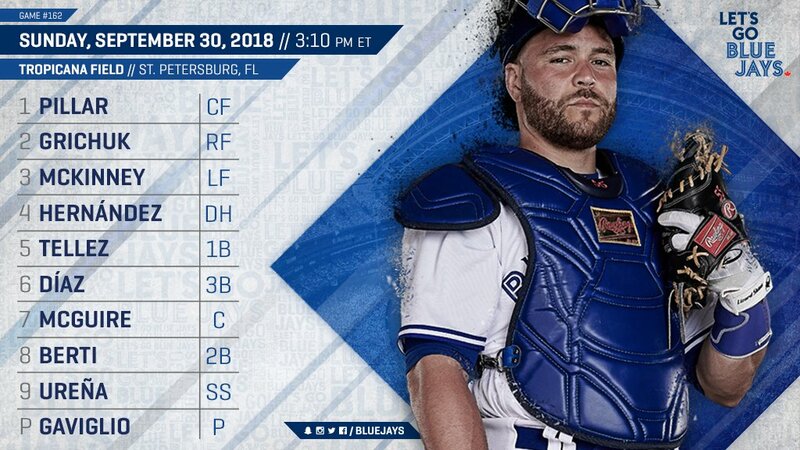 The final game of the 2018 season for the Toronto Blue Jays, and the final 'official' managing game as a Jay for John Gibbons, though he's allowing Russell Martin to pull the strings for today's game. Russell has filled out an interesting lineup card for the game - see lineups at the bottom of game thread. McKinney batting 3rd? 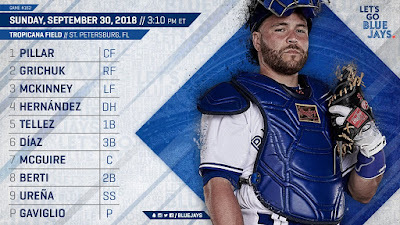 Pillar leading off? Sure, why not. 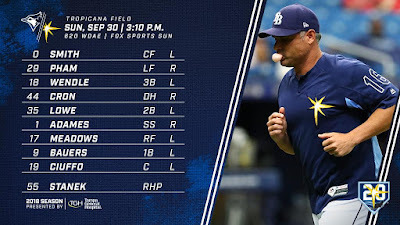 Sam Gaviglio takes the mound as he looks to avoid going to 10 losses for the season, and he'll face Ryne Stanek, who's starting a bullpenning game against the Jays for what seems like the 38th time this season. 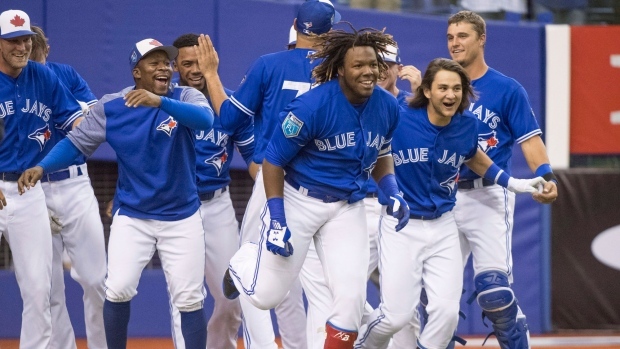 The 2018 season was full of ups and downs -- it started off with a bang with a solid start (12-5) before injuries and ineptitude combined to derail the season and resulted the team getting younger and younger as the season went along. By the end, the future looks pretty decent with a top-five farm system, Vlad Jr. knocking on the door, and several young starting pitchers making a respectable first impression in the big leagues. NL Chaos Report: Dodgers-Rockies are tied. Cubs-Brewers are tied. Cardinals are out. As a result, there's a high chance of seeing at least one playoff game tomorrow to break the ties. Rockies get a break as Max Scherzer was initially scheduled to pitch today against them, but at the last minute, the Nats elected to not overexert him as he's thrown a lot of innings this season. This is your "It's been a ride and thanks for reading my game threads all season without mocking me too harshly" game thread.